Hello! 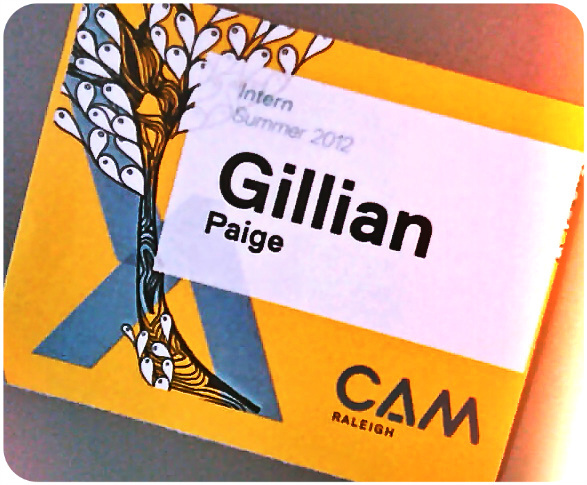 My name is Gillian Paige and I’ve spent my summer as the Education Program Intern here at CAM Raleigh. I’ll be a Junior in the Art + Design program in NCSU’s College of Design this fall. This summer has definitely sped by so quickly and I have had such a great time at the museum. I was able to get involved with some incredible museum programs including the Teen Art Exhibition, Summer Studios and First Fridays. 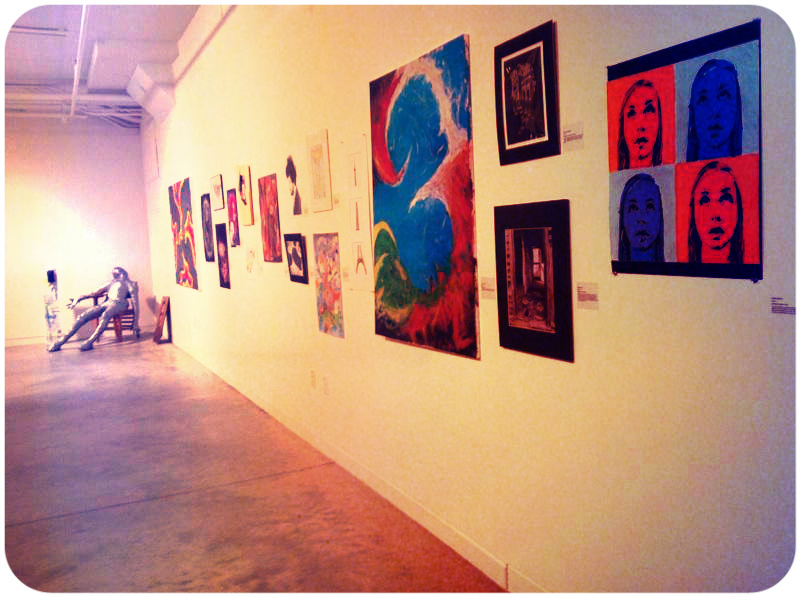 The Teen Art Exhibition was a juried art exhibition featuring local Teens from around the Triangle. The CAM Raleigh Teen Council was responsible for organizing and jurying each piece. The theme they chose was, “What is in the back right corner of your brain?” The pieces that were submitted were incredible with so many diverse interpretations of this theme. I was able to catalog each piece and helped to hang the show in the CAM Media Lab. The exhibition turned out great thanks to the Teen Council and they were all so proud of their work. After the Teen Art Exhibition was taken down it was time for Summer Studios! Each week I was able to help prepare for new students coming to CAM. I received the responsibility of organizing supplies, covering tables with bright yellow paper and setting out name badges with brand new sketchbooks! The summer studios program is a great introduction to Design for Middle and High School Students. Each week we have had awesome students explore form and function to create some incredible pieces. As a fibers student I really enjoyed getting to see the Art to Wear studio in action. The Students were shown videos of the NCSU fashion show and past participants came in to present their collections. Everyone loved learning different fiber techniques and created garments out of wacky materials! First Fridays were definitely my favorite part of being an Intern. Our June First Friday program was inspired by Jose Lerma’s exhibition The Credentialist. We covered the walls and floors with “CAM Colored” yellow paper and asked visitors to come doodle something. Over the course of the night doodles began to fill the paper and create an incredible collaborative doodle mural. For July First Friday, I took inspiration from Andy Hall’s Exhibition Form Special. I drew from themes within his exhibit to create a fun activity that all age levels could enjoy. The two themes I focused on were Form and Color interaction. I started making small samples to mimic these themes and focused on the repetition of triangles and the many different colors he used. 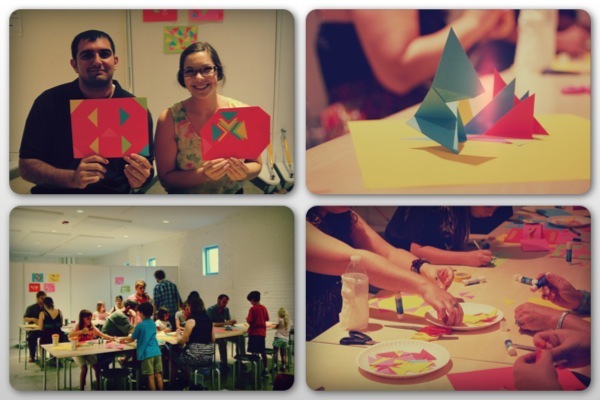 The guests at the museum had a great time making their own creations. It was so neat getting to see everyone’s process and all the different interpretations of the project. Interning at CAM has been such a rewarding experience. This summer I have been able to work with some truly awesome campers and guests. 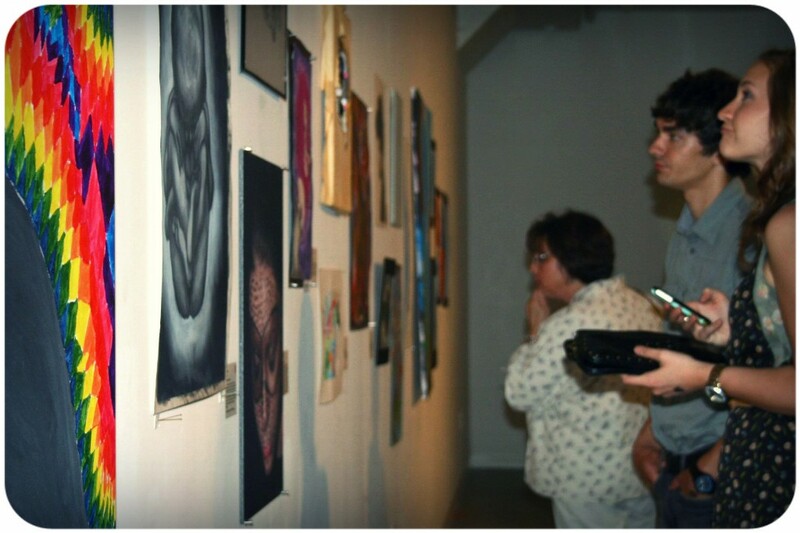 I was able to watch everyone experience and interact with contemporary art and design and then express it creatively. This summer internship has taught me valuable lessons about the design process and education which I can use for my design studies and even after I graduate. I look forward to participating in more CAM Raleigh events in the future!